B.C. environmentalist Tzeporah Berman, who was once jailed for civil disobedience (Photo: David J. Climenhaga). The stream of vituperation directed at B.C. environmentalist Tzeporah Berman for her consistent opposition to Alberta’s pipeline demands is unprecedented, hypocritical and dangerous. I am not just talking about the death threats and obscenities sent to Ms. Berman from the usual pseudonymous morons on social media. Environmentalist, scientist, author and broadcaster David Suzuki (Photo: David J. Climenhaga). This is about statements by Alberta’s Opposition United Conservative Party and its officials, who have also attacked the Alberta Teachers Association for daring to invite the high-profile environmental activist to address a meeting in the Edmonton area next month about climate change and the future of the energy industry. And it is about the hysterical daily tirades by Postmedia’s four Alberta daily newspapers, whose political columnists all seem to have exactly the same opinion about Ms. Berman and her views, not to mention about Dr. David Suzuki, another well-known B.C. environmentalist once invited to address an ATA meeting. For that matter, it’s about the silence of the NDP Government, which appears to have thrown Ms. Berman under the bus now that her views and her past role on an oilsands advisory committee have turned into a lightning rod for the UCP and its cheerleading squad at Calgary Herald, the Edmonton Journal and Postmedia’s two Sun newspapers. Seriously, you’d think many of Alberta’s opinion leaders were from North Korea the way they’ve been carrying on. Although, in fairness, North Korea’s media have been setting a rather more balanced tone lately, what with peace feelers going back and forth between Seoul and Pyongyang. UCP MLA Rick Strankman, who was once jailed for civil disobedience (Photo: David J. Climenhaga). For her part, Ms. Berman’s position has been consistent and logically argued, even if you happen to think as most Albertans do that she is wrong. Her willingness to come here to express her views shows real courage. She’s already been spat at and physically threatened at Edmonton Airport. I doubt most of us would be as brave in her shoes. The UCP’s Sept. 19 statement about Ms. Berman’s planned talk with the ATA social studies and environmental studies committees is a study itself of Rebel Media-style disingenuousness. Among many misleading statements, it asserts that Ms. Berman is an “anti-Alberta activist,” excoriates the ATA’s committee volunteers as “union bosses,” and repeats the canard the current Education Department curriculum revision started by a Conservative government is a left-wing ideological plot by the ATA and the NDP to turn children against their parents. Former teacher Mark Smith, the UCP education critic who lent his name to this misleading claptrap, ought to be embarrassed. One hopes the quotes attributed to him don’t reflect the accuracy or ideology of his social studies lessons back in the day. As for Postmedia’s commentary, the mendacious language of the headlines alone is telling: “The enemies of Alberta’s energy industry are running the province” (Licia Corbella); “Note to Teachers Association: Expel Tzeporah Berman” (Don Braid); NDP are green activists in oil workers’ clothing” (Lorne Gunter); “Teachers cozy up to Suzuki and now Berman the pipeline-hater” (Rick Bell). In fairness, Mr. Bell’s headline was later toned down, but you get the picture. Each one contains a harsh personal attack on Ms. Berman in which her views are reduced to a cartoon caricature. Two of them use the same unflattering portrait. All of them contain essentially the same talking points as the UCP news release. Dr. Brian Day, the market fundamentalist B.C. physician whose corporation is challenging the constitutionality of Canada’s health care laws (Photo: David J. Climenhaga). It would come as no surprise if some of the lunatics who gather in the darkest corners of the Internet took this as a stamp of approval for their violent fantasies. Mr. Braid and Ms. Corbella both argue that past calls by Ms. Berman for civil disobedience and the fact she has been jailed for her beliefs should make her ineligible to speak to teachers lest their students be inspired to revolt. That’s an argument that can be made with a clear conscience, I guess. But don’t forget that the same newspapers, following the example of former prime minister Stephen Harper and Alberta premier Ralph Klein, lionized farmer Rick Strankman when his defiance of Canada’s grain export legislation landed him in jail. Mr. Strankman, pardoned by Mr. Harper, now sits as an honoured member of Jason Kenney’s UCP Caucus in the Legislature. Personally, I give Mr. Strankman credit for the courage of his convictions, even though he was wrong, just as I respect Ms. Berman for hers. So where are the Canadian right’s supposed defenders of free speech now that free speech in Alberta obviously needs defending? Postmedia columnist Licia Corbella (Photo: David J. Climenhaga). Well, they’re not exactly silent. But they’re silent about this. John Carpay, Opposition Leader Kenney’s social conservative pal who is rumoured to be a possible UCP candidate in Calgary, was in Wednesday’s National Post carping about the threat to free speech on Canada’s campuses presented by “social justice warriors” promoting “‘diversity,’ ‘inclusion’ and ‘equity.’” Nothing about the UCP’s and Postmedia’s anti-free-speech campaign, though. Brian Day, the B.C. physician whose corporation is challenging the constitutionality of Canada’s health care laws, admitted in B.C. Supreme Court this week he knew his company’s billing practices were illegal. No one should be surprised if these same newspapers defend his actions on the grounds he believes the legislation that outlawed them is unconstitutional, as they have defended him in the past. Ontario Premier Doug Ford, the real leader of Canada’s Conservatives, plans to introduce legislation defunding universities that don’t adopt policies that give free rein to right-wing agitators on campus. So civil disobedience is encouraged by the right’s free-speech warriors if the perpetrator happens to be a market fundamentalist physician or farmer. And your free-speech rights will have plenty of defenders if you’re an anti-abortion agitator, whiny misogynist, or white nationalist with a tikki torch looking to make trouble on campus. But apparently you won’t find a defender around here if you’re a high profile advocate of the environment or a teachers’ union committed to free expression and broad exploration of issues. For daring to advocate or just listen to an unorthodox view, you’ll get nothing but insults and threats. David, there a certainly many views that Tzeporah holds that I disagree with and I can certainly understand parents misgivings about her speaking to those that teach our children but in Canada she still has the right to free speech. Lately I have been looking at getting a grain dryer, in the last few years the weather has made harvest a rather frustrating process. In figuring out the cost to dry each bushel I ran into some interesting math. A gigajoule of natural gas(the unit we buy our natural gas in to heat our homes) is the equivelent of 1 million btu’s(British thermal units). It takes 5000 btu’s to remove 4 points of moisture from a bushel of barley. So this got me thinking, environmentalists like Tzeporah tell us we need to switch to electric heat for the benefit of the environment. How many kilowatts does it take to produce 1 million btu’s? Googled it on my tablet, it takes 293.071 kilowatts to produce 1 million btu’s. I pay $5.62 for 1 gigajoule of natural gas of which $1.517 is carbon tax. I pay just under $.20 per kwh of electricity all in, so 293.071kwh x .2 = $58.61 to produce the same amount of heat from electricity. Now to be fair heat from natural gas is only about 80 % efficient so the fair comparison is it would take $46.89 of electricity to produce the same amount of heat as $5.62 of natural gas at today’s prices or just over 8 times the cost. Now I don’t know about the rest of you but if my heating bill increased by 8 times in a country that is cold 6 months of the year that is going to hurt! Just one of the reasons I am not a fan of the messaging of the more extreme environmentalists. Certainly being more efficient with our finite resources is important but we also need to be realistic. Enjoy your day. Forget the science.. what r u feeling? What a dumb video. Ok, brainiac, so if emotions were a factor in the development of science how did we get here? We wouldn’t have learned anything! Emotion is the impetus for science, not the other way around! FB: The worst thing about the Tesla battery and the electrical system is that the battery replaced gas turbine generators that were used as “peakers” to avoid brown-outs. Truly bad news for Alberta’s natural gas sector, especially as battery costs go down and fracking costs go up. Although arguably lithium-ion is not a globally scalable storage solution, other battery chemistries may be. Consider this one, that NY Times and LA Times have just done major profiles of. Zinc air. 1. Whereas the price comparison for an individual may seem plausible if based on current prices, for a society, the same comparison should take a much wider range of factors into account. We can begin by factoring into each option (electrical vs natural gas) at least the hidden and direct subsidies–notably what economists refer to as the “externalities” of fossil fuel use above the capacity of the ecosystem to absorb them. The direct subsidies to fossil fuel production are measured in the tens of billions annually in Canada. But Ms. Berman would have authoritative support from no less a source than the IMF, were she to point out that the externalities or hidden subsidies of fossil fuel use are roughly 5.4 trillion USD per year globally. These externalities include toxic pollutants (which in the case of coal would include mercury) such as nitrous oxide, sulphur dioxide, and fine particulates contributing to, in Alberta, respiratory ailments. Externalities would include also the costs of insured and uninsured damages from increased wildfires (such as those at Cold Lake and Ft. Mac and in BC these past few years) and floods (Calgary)–producing some of the worst air quality measures in the world, in Edmonton, Red Deer and Calgary, with knock on effects on infant birth weight being among the emerging consequences. In the case of tar sands / bitumen, we have a resource with a very low return of energy on energy invested (EROEI), massive air and water pollution, cancer clusters and general sickening of the ecosystem and its residents. In the case of natural gas, if that gas is fracked, we can add to this tremendous consumption and pollution of groundwater through the injection of highly toxic chemicals. And massive emissions of methane. And so we come to the greenhouse gases themselves. Of course we should also include the externalities associated with the means of electricity production, since there is not such thing as a free lunch in energy. Renewables are not free either. They carry significant embedded energy costs and have a much lower EROEI than do fossil fuels. Which highlights another difficulty with direct cost comparisons between electricity and fossil fuels. Whereas, in the short term this may be the most relevant measure for Farmer Brian, since these are the costs he can influence most directly, for the society, it would be crucial to recognize that we cannot simply swap fossil fuels out for even 100% renewables (even if those actually exist). Rather we are looking at sharp reductions in the availability of affordable energy more generally. Indeed, we are facing the plausible prospect of radical disruptions on multiple fronts–energy affordability; food production; water quantity, quality and price; climate; health care costs; insurance and resiliency to disaster. And, of course, the very fact that Farmer Brian is considering a grain-drying operation now, may itself be attributable to just one of the costs of a disrupted climate. Paul the reason I am looking at drying grain is in the last 4 years we have had early snowfalls which have caused crops to lodge(bent over towards the ground) making them difficult to harvest and reducing the quality of the grain. A dryer would allow me to start and hopefully finish harvest sooner. From my point of view colder falls and earlier heavy snowfalls does certainly point to a change in weather patterns but certainly not a warmer one! Farmer Brian has amused his followers by using a red herring to divert attention from the ugly nature of the UCP. So far as I know there was no proposal to switch grain drying from natural gas/propane to electricity from Ms. Berman. Like the vast majority of urban people, I doubt the good lady would know the difference between a grain dryer and a breaking disk. In any event, farming in general and prairie grain farming in particular, are trivial sources of GHGs compared to air travel. If government were serious about the whole thing, we would have seen massive investments in public transit so the biggest single source of GHGs. – all those urban car commuters, could be reduced. In contrast, a single person flying round trip from Calgary to London’s Gatwick produces 2.6 metric tonnes of carbon. Multiply by the number of people in the plane. If you urbans want to do something about AG and GHGs, put back the branch line rail system your creepy elected representatives stole from us. Farmer B might want to remember that “one swallow does not a spring make” anymore than a cool wet fall disproves human caused global warming. Kang your comments about air travel are bang on, and definitely in the category of inconvenient truth. Although far from solving the problem, an easy partial fix I would love to see would be for the government to direct airlines to charge people for the weight of their luggage, rather than by the piece. I have to hold my tongue when I struggle to heave a visitor’s suitcase in the car, and wonder what they packed that was so important that it was worth the greenhouse gases necessary to lift it several kilometres in the air, then blast it a thousand kilometres across the continent. I think people would think twice about packing some trivial incidental if they knew they were paying $5 or $10 a kilogram to take it. Thank you as well for the GHG calculation link. DC, excellent comment as always. As a glass half-full kind of guy, I am kind of pleased that, at least in Alberta, the ATA kerfuffle and the Suzuki spat should help put an end to the wide-spread claim among Canadian conservatives that intolerance of speech is somehow an exclusive characteristic of the left or progressives. Perhaps the more polite and reasoned right wing voices need to be louder here. One example could be James Moore who yesterday, on CBC’s Power & Politics expressed respect for David Suzuki and his life work while not agreeing with him entirely. James Moore was the former Minister of Industry in the cabinet of Prime Minister Stephen Harper. He is also a proponent of the CBC even among the right wing voices who call for its demise. He is also a member of Canada’s NAFTA advisory council, as is Rona Ambrose. Could one rightly assume that they would not threaten Suzuki or Berman’s life or spit at them at an airport? Perhaps these supposed more reasoned and less boorish right wing folks could exert some reason amid this disturbing, and yes, dangerous behavior toward these folks. Is everyone satisfied for this harmful type of right wing populism politics to thrive? At what point will it be reined in? Will the waiting go on until someone who is negatively influenced by this toxic vitriol do something drastic? And not just Ms. Berman. And not under the bus. Alberta Environment Minister Shannon Phillips co-wrote the foreword for the 2004 book “An Action a Day Keeps Global Capitalism Away” by Mike Hudema, a campaigner for Greenpeace Alberta. Phillips has since minimized her role and renounced those views. Beware, environmentalists, if you cross the NDP on oilsands. Past allegiances mean nothing. On election night 2019, Notley and her ministers may find themselves short of votes — with few friends left to commiserate. Of course, the science supports Berman’s position on climate change, not Eggen’s. Yet Eggen is in charge of AB’s curriculum rewrite. When it comes to educating young people in Alberta, inconvenient science ranks a distant second to politics and corporate power. If that’s what you want, vote for Notley & Co. in 2019.
Who was the brilliant NDP strategist who advised Notley & Co. that if they renounced their environmental views, abandoned industry criticism, ignored science, disavowed associates, and scorned federal NDP colleagues that hordes of right-wing Albertans would vote for them in the next election? If it wasn’t obvious then, it should be painfully obvious now that was never going to happen. To be fair, Mr Pounder, nobody ever expected “hordes of right-wing Albertans” to vote for the Notley NDP. The real question is, how will uncommitted swing voters vote next Spring? The NDP’s electoral fortunes are precarious, to be sure, no matter what happens, according to most polling. But failure to advocate strongly for a major driver of the province’s economy would send that leaky ship right to the bottom. 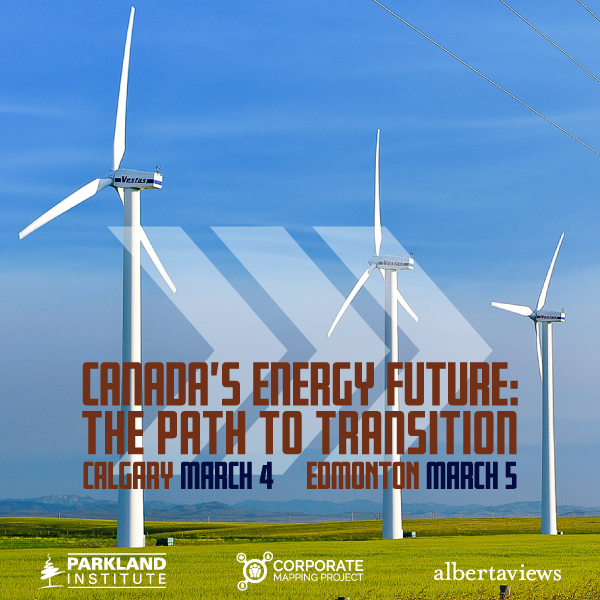 Pipelines and support of the ‘patch are the sine qua non of Alberta politics. Even the Alberta Green Party leadership aspirants are taking a more nuanced position on the oil sands industry than their B.C. or federal counterparts. Mathematically, it is impossible for the NDP to prevail against a united conservative party. Even the NDP’s unprecedented 2015 numbers would not yield such a result. The NDP is alienating not a few of its own long-time supporters. The NDP will likely lose a good fraction of its swing voters from 2015. Even if the NDP were to retain all the votes received from long-time PC and Liberal supporters in 2015, victory in 2019 remains out of sight. Combining PC and WRP votes in 2015 yields 60 seats for the UCP to 25 for the NDP. Notley and the NDP won big in 2015 WITHOUT the “sine qua non of Alberta politics”. Notley didn’t campaign on pipelines in 2015. The NDP 2015 campaign platform OPPOSED new export pipelines! Recall Notley’s mandate as stated in the NDP’s 2015 platform. 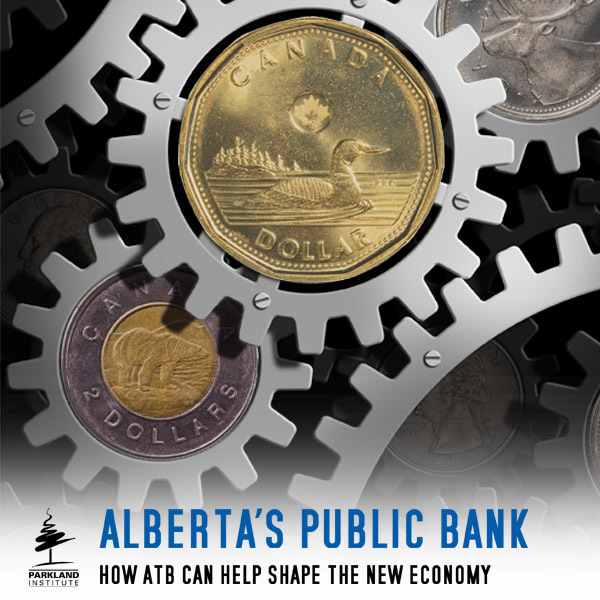 “Full and fair value for Albertans” in royalties. The NDP now proposes instead to send our jobs to California, Washington State, and Asia. Huge improvement. The Notley version of the NDP is not what I voted for in 2015. Definitely not voting for it in 2019. You make several valid points, David. Thanks for writing it. I read the UCP statement you linked to, and found it most upsetting. As a teacher, Mark Smith knows the people organizing the conference are volunteers, yet he persists in calling them union bosses. Teachers should not perpetuate an untruth for their own gain. Even more upsetting is his repeating the call to list the names of the people on the curriculum re-write committees. Given how the UCP attack dogs go after whoever they are directed to, I can’t imagine what kind of person would be willing to sit on a curriculum re-write committee if they knew their names would be public. This is especially so considering how the above mentioned columnists NEED something to outrage their readers in order to keep their ratings up. A headline like “The New Curriculum is Filled With Good Ideas” just does not build readership. How unfortunate it is when government policy is dictated by columnists pursuing ratings. I was under the impression most names were public, no faces hidden at the public meetings I went to. Perhaps these keyboard warriors should have actually gone to the meetings and met the people involved. My only complaint was too many academics not enough input from actual teaching teachers. Kenney could probably relate to this lack of practical real world experience. so what else is new?! In a war, you pick sides. One side wins; the other loses. Make no mistake here, this is a war. A war on facts, truth and liberty. We, that is, us humans have fought this war before. Not me, you, the others reading this, but a few generations before us, and a generation before them. Now is our turn. It seems that humans forget, so easily, that we are only a part of the larger whole. Our greatness comes not from the actions of any one individual or group of individuals but rather from our collective actions to build up and support the best in all life and everybody. It seems that it takes the blood, the misery and the servitude of millions of others periodically so that the remainder can live and flourish in peace. Pick a side. Be sure to pick the right side. This is a very insightful take on what is going on. Alberta’s right feels empowered to organize lynch mobs against anyone who argues for the necessity of transitioning away from dependence on the oil industry. Albertans, do you really want to elect such a gang of authoritarians? Premier Notley and the AB NDP have done their share of stoking Albertans’ anger against pipeline opponents; playing upon people’s fears; lambasting industry critics; minimizing pipeline risks and exaggerating its benefits; catastrophizing and overstating economic losses if the project fails; misleading Albertans on emissions and climate action; bullying our neighbours; and resorting to extortionist tactics to bend both opponents and allies to their will. Albertans should not endorse the NDP’s behavior either. “Within hours of a bombshell court ruling that cast doubt on the future of the Trans Mountain pipeline expansion, Premier Rachel Notley said Alberta will withdraw from the federal climate plan until Ottawa gets its act together and pushes the controversial project ahead. “‘Albertans are ANGRY. I am ANGRY,’ Notley said in a televised speech several hours after the ruling. 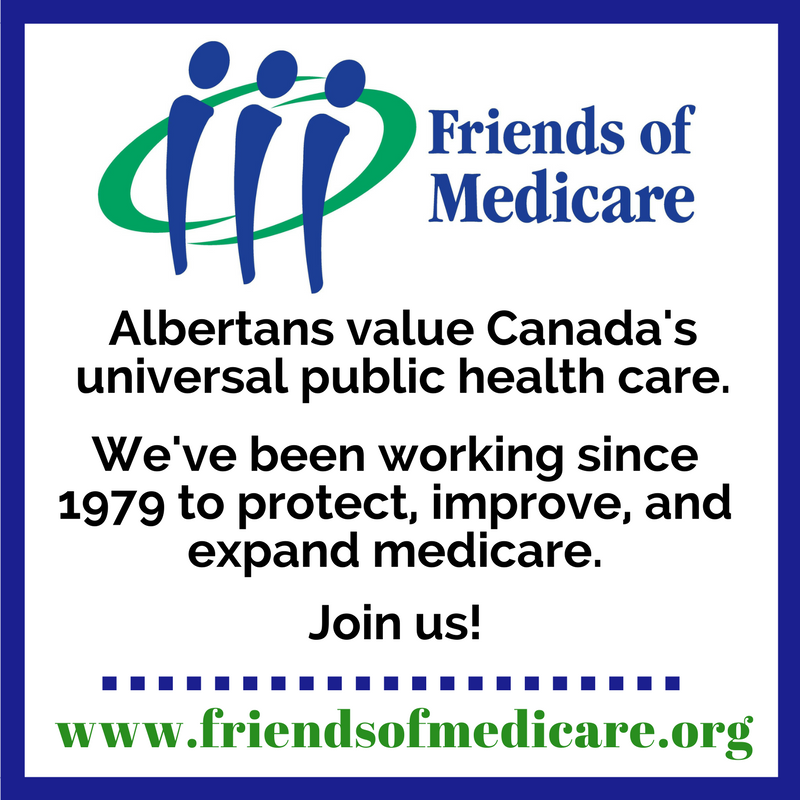 ‘Alberta has done everything right and we have been let down. Still, of the two, I believe this toxic right wing populism is the worst and most disturbing. It appears, unfortunately, to attract those such as the ‘lake of fire’ radicals and the death-threaters. No political party is perfect and I will hold my nose and still vote for the AB NDP. Well put, Albertan. Although I too am disappointed with Rachel Notley’s apparent attempt to muscle into political territory she has no hope of taking, it is fear of the alternative that will keep me in the NDP fold. Jason Kenney is the NDP’s biggest asset. The “lesser evil” argument makes sense only if the NDP had a real chance at winning a second term. For long-time NDP supporters, election 2019 is a referendum on Notley’s leadership and the NDP’s vision for AB’s future. A vision entailing indefinite oilsands expansion, spiralling emissions, cumulative environmental damage, failure to meet Canada’s climate targets for decades, and eventual economic collapse. Nothing progressive about it. The ballot question for NDPers is whether to endorse or repudiate Notley’s version of the NDP — and demand better from a future NDP under new leadership. Perhaps it could be said that the ballot question for right wing voters is to vote for the now neo-liberal populist harmful UCP type of conservatism or, vote for the Rachel Notley NDP which emulates more, the more honourable fiscal Peter Lougheed style of conservatism. Some of us do recognize that and again, will still vote for the AB NDP. Don’t forget about the Alberta Party under Stephen Mandel. Why would Lougheed conservatives vote for Notley, Ceci, Phillips, Hoffman & Co. instead of Mandel and his team of ex-PCs? I’m not sure Lougheed would have approved of Notley’s fiscal, energy, or environmental policies. Depending on bottom-of-the-barrel royalty rates to support the highest levels of spending in the country without a sales tax is not sustainable. Lougheed would have demanded a fair share for Albertans on royalties. (Broken NDP promise.) Think like an owner, he said. Notley spurned her opportunity — and mandate — to raise royalties. Lougheed would have rejected the laughable contradiction of Notley’s “social licence”: carbon tax for pipelines. If Lougheed truly understood the perils of climate change and truly had AB’s long-term interests at heart, he would not allow AB’s emissions to increase indefinitely. If the AB NDP becomes a quasi-conservative party, where do long-time NDP voters go? What about greens who voted NDP in 2015? You may be comfortable with the AB NDP’s shift to the right, but to make that a winning election strategy, the NDP have to not only retain their 2015 support but increase it. That increase can only come from voters who didn’t vote NDP in 2015. Lots of luck. Here’s the bottom line on TMX and all other similar projects. As far as its opponents are concerned, any review or other regulatory process that doesn’t end up in a ‘No’ is irredeemably flawed; the only evidence the process is flawed they need, is that the project gets approved. As for supporters, the same applies in the opposite direction: no process that doesn’t lead to approvals and construction has any integrity. There is no middle ground, no room for compromise, no win-win. The real issue is, whose absolutism will prevail?